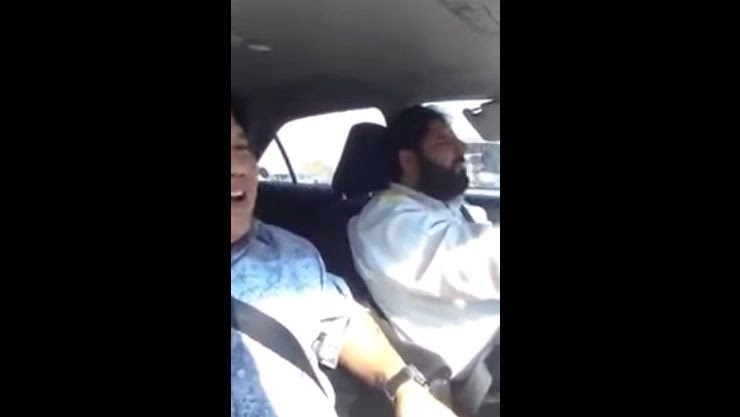 A video of a Dubai’s Pakistani taxi driver speaking Tagalog fluently is taking the attention of Filipinos on social media by storm. Richard Bok Viray had uploaded a video of him and the taxi driver on YouTube which had been reposted in various social media and spread like fire. The Pakistani shared that he had been in Dubai for 8 years. The video has been uploaded on December 20, 2014 and got almost 180 thousand views in only three days and many got curious how he learned the language. In a separate video uploaded by Veronica De Vera on September 13, 2012, she had also met the jolly Pakistani driver. She was able to ask how the driver learned the language. He answered that a Filipina friend taught him but she already went back to Philippines. When Veronica told him she was from Pampanga, he said that people from her place have beautiful eyes. When she seemed unconvinced, he said he was not ‘sipsip’, a Tagalog word for using sweet words to earn trust and confidence. To this, she laughed. Many Filipinos shared in the comments that they had met the driver themselves and had fun as he talked to them in Tagalog. Some also say that the driver might already be in Riyadh as they had also encountered him there recently.